Most buyers and sellers have at least one thing in common—they want the sale to move as quickly as possible. The nature of contracts and licenses is that the transfer of these items can be a slow and cumbersome process. It’s important to prepare yourself ahead of time to avoid delays. It’s likely that your business has several types of legal obligations that go along with its ownership – agreements with customers, vendors, service providers, and others. Each license and contract may involve a different requirement or procedure for assignment or transfer. Even if you aren’t selling your business any time soon, it’s a good idea to make a list of all of your legal contracts or licenses, so when the time comes to sell, you’ll be prepared. Keep in mind that your ability to transfer or assign your contracts or licenses could significantly affect the outcome of your sale. Leases and licenses are both an important part of your business, so it’s important to consider the steps that will need to be taken with these two legal agreements when you decide to sell. Leases: If you rent your office or retail space, you will need to work with your landlord prior to selling. 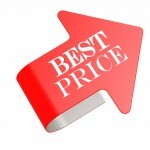 In most cases, the landlord will need to make a new lease with the purchaser. It’s possible the landlord may try to increase rent, which is why it’s important to determine whether the landlord’s consent is required for a lease assignment before any discussions with the landlord. If your landlord significantly changes the lease terms, your purchaser may be more hesitant to move forward. Licenses: You may have licenses for software, HR programs, payroll systems, etc. 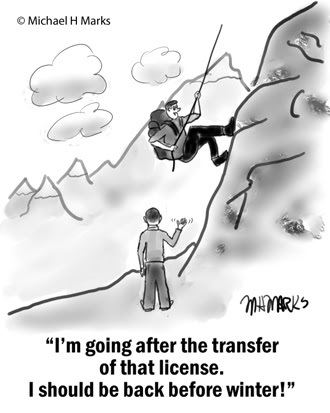 In many cases you may need to get consent from the licensor in order to transfer the license when you are selling your business. Timing is also critical. Because of confidentiality concerns and other issues, it’s important that you contact the licensor when you have some level of certainty that the sale will occur. Some licenses also may require that a transfer fee be paid by either the seller or purchaser. When it comes to contracts, you need to know whether it is assignable with or without consent. It is best to get your lawyer’s advice on this since the language on assignment (or lack thereof) may vary from contract to contract. When consent to assign a contract is required, with the help of your advisor, you and the purchaser will have to agree upon the timing and the message before any contact is made regarding a request for assignment of a contract. This can be a very sensitive issue that affects your message regarding the sale to customers, vendors, and others. Customer Contracts: If your customer contracts require consent prior to any assignment, the question arises—when should you contact them? If you request assignment and your sale falls through, you may risk losing a customer. In most cases, a purchaser will not want to close the transaction with the risk that a customer will not agree to an assignment. An experienced M&A advisor or lawyer is essential in helping guide both the seller and purchaser with these delicate issues. Supplier Contracts: The same logic applies to contracts with suppliers, although there is usually less risk here since most suppliers want to retain the business after a closing. Regardless of when you are selling, you should be prepared for potential sale in the future. Take Inventory: Make a list of all your legal contracts and, with legal help, determine the requirements for assignability. Read Your Contracts: The biggest mistake a lot of sellers make is that they haven’t read their contracts. A tiny sentence in a contract could make or break your deal, so it’s important to be aware of any obstacles you may face. Hire an Attorney: If you haven’t established a relationship with an experienced business attorney, now is a good time to start. An attorney will help to break down your contracts and highlight any areas of concern. Plus, once you are ready for sale, a lawyer will help with the transfer process. When you show that you are prepared and organized, purchasers will also feel better about investing in your business. Be Patient: These transfers can take quite a while to facilitate, particularly if government agencies are involved. That’s why it’s important that you’re aware of these future commitments before the sales process begins. If you have questions about preparing your business for sale, you can contact The Bridlebrook Group. We’ll make sure you’re on track to sell your business in the future. Start by finding out the value of your business.